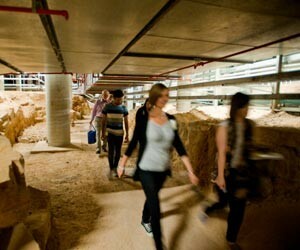 Journey into the depths of Parliament House for an underground adventure, deep beneath the corridors of power. Join a geologist and see a rarity known as an unconformity, a rare rock formation which shows where two rock masses—ten million years apart in age—meet. Preserved in the basement of Parliament House, this fascinating piece of Canberra’s geological history is one of only three known similar formations in Australia.